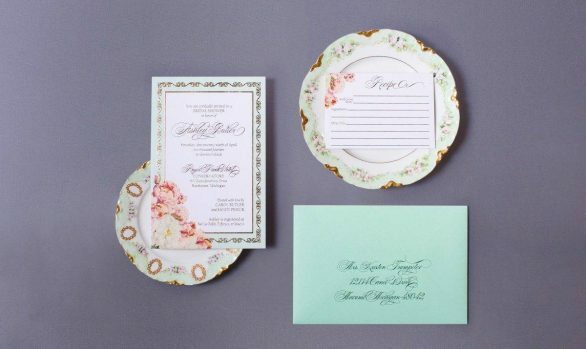 Infographics and lace are so very popular, why not put the two together?! 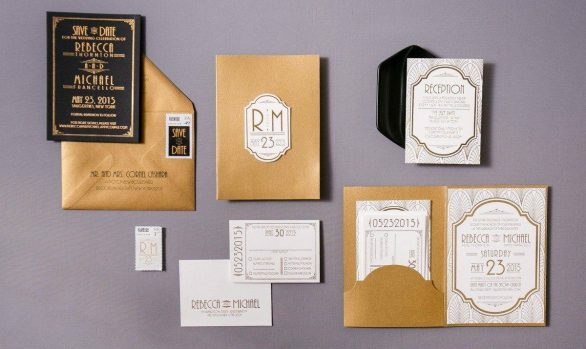 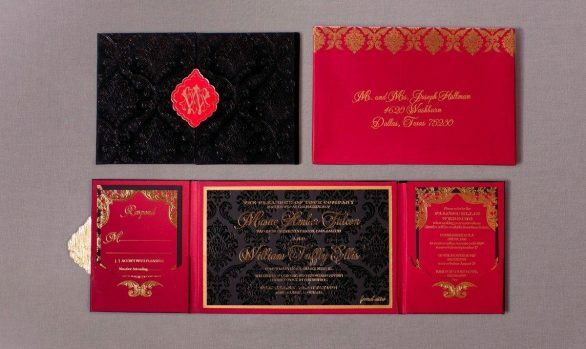 We designed this infographic lace invitation with antique gold and gold foil printed accents. 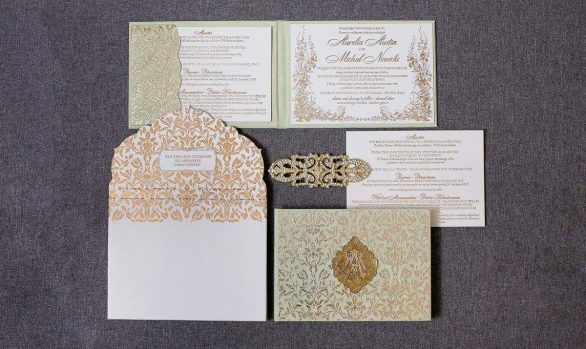 The back of the lace invitation was made with a gold silk pocket that held all of the inserts. 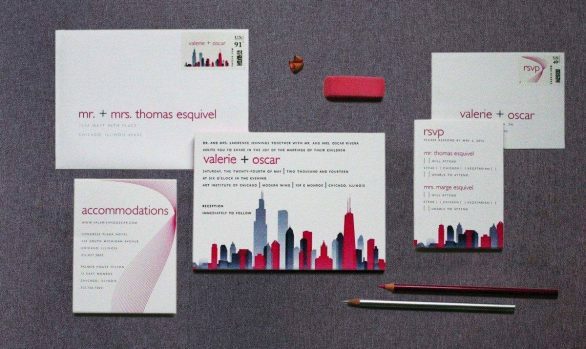 Response cards were designed with a flow chart and unique responses for each option. 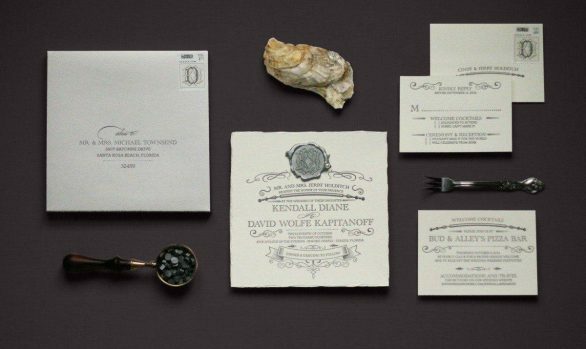 The reception card had icons and a graph with the details for the reception and accommodations. 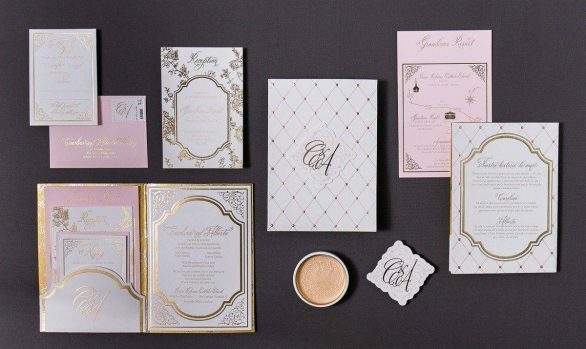 Die cut mailer boxes were printed with machine calligraphy and the fun styling that matched the graphics of the invitation.